Our aim was to investigate the fasting proportions of fatty acids and estimated desaturase and elongase activities in three different lipid fractions in plasma, phospholipids (PLs), cholesteryl esters (CEs) and triacylglycerols (TGs), as predictors for the worsening of glycaemia (area under the glucose curve in an OGTT [glucose AUC]) and incident type 2 diabetes in a 5.9 year follow-up of the Metabolic Syndrome in Men population-based cohort. Fatty acid proportions were measured in plasma PL, CE and TG fractions in 1,364 Finnish men aged 45–68 years at baseline. The prospective follow-up study included only men who were non-diabetic at baseline and had data available at follow-up (n = 1,302). A total of 71 participants developed new type 2 diabetes during follow-up. After adjusting for confounding factors, total saturated fatty acids, palmitoleic acid (16:1n-7), dihomo-γ-linolenic acid (20:3n-6) and estimated stearoyl-CoA desaturase 1 and Δ6-desaturase (D6D) enzyme activities significantly predicted the worsening of glycaemia whereas total polyunsaturated fatty acid, linoleic acid (18:2n-6) and elongase activity predicted a decrease in the glucose AUC. Estimated D6D activity and dihomo-γ-linolenic acid (20:3n-6) were associated with an increased risk of incident type 2 diabetes. Results were consistent across the three different lipid fractions. However, fatty acid proportions in the PL and CE fractions were stronger predictors for glycaemia and incident type 2 diabetes compared with fatty acid proportions in the TG fraction. Selected fatty acid proportions of plasma lipid fractions and their ratios, which reflect desaturase and elongase enzyme activities, may be good biomarkers for the worsening of glycaemia and incident type 2 diabetes. The online version of this article (doi: 10.1007/s00125-015-3730-5) contains peer-reviewed but unedited supplementary material, which is available to authorised users. Fatty acid composition of tissues and blood lipids is predominantly determined by dietary intake and endogenous synthesis of fatty acids . Fatty acid composition has been measured in a wide variety of biological samples, of which subcutaneous adipose tissue, plasma total phospholipids (PLs), cholesteryl esters (CEs), triacylglycerols (TGs), total plasma lipids and erythrocyte membranes are the lipid pools most often investigated. Adipose tissue has been considered as the best tissue for measuring fatty acids because it reflects long-term dietary intake (0.5–1.5 years), but it is rarely available for large epidemiological studies [1, 2, 3]. Erythrocyte membrane fatty acids (EMFAs) represent the fatty acid composition of the diet over the past 3–4 months . However, in addition to diet, EMFAs are also controlled by genetic factors [5, 6]. PL and CE fatty acid compositions reflect the dietary intake of fatty acids during the preceding weeks [1, 7, 8, 9, 10, 11]. The TG fatty acid composition represents dietary intake from only the few preceding days and provides an opportunity to evaluate hepatic enzyme activities [1, 12, 13]. Evidence for an association between different types of fatty acid and the risk of type 2 diabetes mellitus is inconsistent, with the exception of key enzymes in the metabolism of polyunsaturated fatty acids (PUFAs), Δ5-desaturase (D5D) and Δ6-desaturase (D6D), which have been consistently associated with incident diabetes . A recent systematic review concluded that the intake of total PUFAs and linoleic acid (18:2n-6) are inversely associated with the risk of type 2 diabetes . There are limitations in previous studies evaluating the association of fatty acids with the risk of type 2 diabetes. First, the diagnosis of type 2 diabetes has often been self-reported or based only on fasting glucose measurement [7, 16], or diagnostic criteria have not been reported . Second, none of previously published studies evaluated incident diabetes based on an OGTT or on HbA1c levels. Third, insulin sensitivity and secretion, which are important mechanisms that contribute to the risk of type 2 diabetes or the worsening of glycaemia, have not been evaluated in previous studies. Finally, earlier studies have not reported associations for all three lipid fractions. Therefore, we investigated the fasting proportions of fatty acids and evaluated desaturase activities in the PL, CE and TG lipid fractions as predictors for the worsening of glycaemia and for incident type 2 diabetes in a 5.9 year follow-up study of the population-based Metabolic Syndrome in Men (METSIM) cohort. We also evaluated the role of insulin sensitivity and insulin secretion in these associations. The population-based METSIM study includes 10,197 Finnish men aged 45–73 years at the study baseline who were living in Kuopio or the surrounding communities and were willing to participate in our study . Plasma fatty acids were measured in a random sample of 1,364 men out of the entire cohort (mean ± SD: age, 55 ± 5.6 years; BMI, 26.5 ± 3.5 kg/m2; fasting glucose, 5.8 ± 0.6 mmol/l). Glucose tolerance was classified according to ADA criteria  as follows: 456 (33.4%) had normal glucose tolerance, 700 (51.3%) had isolated impaired fasting glucose, 30 (2.2%) had isolated impaired glucose tolerance, 116 (8.5%) had both impaired fasting glucose and impaired glucose tolerance, and 62 (4.5%) had previously undiagnosed type 2 diabetes. Individuals with type 1 or type 2 diabetes at baseline were excluded from this study. Baseline clinical and laboratory characteristics, including fatty acid proportions in PLs, are presented as means ± SD in Table 1. Proportions of fatty acids in the CE and TG fractions are given in electronic supplementary material (ESM) Table 1. A 5.9 year follow-up study included 1,302 men who had fatty acids measurements and were non-diabetic at baseline. A total of 831 of these participated in a follow-up visit and had an OGTT. These men were included in statistical analyses assessing the role of fatty acids as predictors of the glucose AUC, insulin sensitivity and insulin secretion. Out of 1,302 men, a total of 71 developed new type 2 diabetes based on an OGTT (n = 30) or on HbA1c measurements (n = 15) at the follow-up visit or on National Drug Reimbursement registry data (drug treatment started for diabetes during the follow-up; n = 26 participants who did not have an OGTT). Only one person had GAD autoantibodies (>10 U/ml). The study was approved by the Ethics Committee of the University of Eastern Finland and Kuopio University Hospital and was conducted in accordance with the Helsinki Declaration. All study participants gave written informed consent. Plasma fatty acids (expressed as mol % of total fatty acids) were analysed as previously described . Briefly, lipids were extracted from plasma sample with chloroform–methanol (2:1) and lipid fractions were separated using an aminopropyl column. Fatty acids in lipid fractions were transmethylated with 14% boron trifluoride in methanol. Finally, fatty acid methyl esters were analysed using a 7890A gas chromatograph (Agilent Technologies, Wilmington, DE, USA) equipped with a 25 m NEFA phase column (Agilent Technologies). Cholesteryl nonadecanoate (Nu-Chek Prep, Elysian, MA, USA), trinonadecanoin and dinonadecanoyl phosphatidylcholine (Larodan Fine Chemicals, Malmo, Sweden) served as internal standards. Desaturase and elongase enzyme activities were evaluated as ratios of the fatty acid product to the precursor, as follows: as a marker of stearoyl-CoA desaturase 1 (SCD1) activity, ratio of palmitoleic acid (16:1n-7) to palmitic acid (16:0); marker of D6D activity, ratio of dihomo-γ-linolenic acid (20:3n-6) to linoleic acid (18:2n-6) in PLs and ratio of γ-linolenic acid (18:3n-6) to linoleic acid (18:2n-6) in the CE and TG fractions; marker of D5D activity, ratio of arachidonic acid (20:4n-6) to dihomo-γ-linolenic acid; and marker of elongase activity, ratio of cis-vaccenic acid (18:1n-7) to palmitoleic acid (16:1n-7) [21, 22]. The ratio of docosahexaenoic acid (DHA; 22:6n-3) to osbond acid (22:5n-6) was used as a marker of DHA sufficiency . The trapezoidal method was used to calculate the glucose AUC in an OGTT based on glucose and insulin samples collected after 0, 30 and 120 min. The Matsuda insulin sensitivity index (ISI) and the index of early phase (first 30 min) insulin secretion (insulin AUC0–30/glucose AUC0–30) were calculated as described previously [18, 24]. The early phase disposition index (DI30), reflecting insulin secretion adjusted for insulin sensitivity, was calculated as the product of the insulin AUC0–30/glucose AUC0–30 ratio and the Matsuda ISI. Statistical analyses were performed using IBM SPSS Statistics for Windows software (version 19, Armonk, NY, USA). In all analyses (except for Cox regression), log10-transformed variables (except for age) were used to correct for skewed distributions. Fatty acid proportions and ratios were compared across the different glucose tolerance categories by ANOVA and ANCOVA adjusted for age and BMI. Linear regression was used to evaluate baseline fatty acid proportions and ratios as predictors of insulin sensitivity, insulin secretion and the glucose AUC. The results of linear regression analyses (β coefficient) are given as standardised values. Adjustments were made for the length of follow-up time and age, BMI, smoking (yes or no) and physical activity (physically active, regular exercise ≥30 min week; physically less active, occasional exercise or no exercise) at baseline. Cox regression analyses were used to assess the association of fatty acid proportions and ratios with incident type 2 diabetes. Adjustments were made for age, BMI, smoking and physical activity at baseline. In addition, to investigate whether associations of different fatty acid proportions and their ratios with the glucose AUC or incident type 2 diabetes were dependent on fasting glucose, insulin sensitivity or insulin secretion, the models were also adjusted for baseline fasting glucose, Matsuda ISI or DI30. Bonferroni correction for multiple comparisons was applied for each lipid fraction analysed (p value 0.05 divided by the number of comparisons). After Bonferroni correction, the threshold for statistical significance was 0.0017 in PLs, 0.0025 in CEs and 0.0023 in TGs. Baseline proportions of fatty acids in serum PLs and their ratios in different glucose tolerance categories in non-diabetic individuals and in individuals with newly diagnosed type 2 diabetes are shown in Table 2. In the PL fraction, saturated fatty acids (SFAs) pentadecanoic acid (15:0), margaric acid (17:0), behenic acid (22:0) and lignoceric acid (24:0) were decreased across glucose tolerance categories compared with the normal glucose tolerance category. Of the monounsaturated fatty acids (MUFAs), palmitoleic acid (16:1n-7) was increased, and of the PUFAs, linoleic acid (18:2n-6) was decreased and arachidonic acid (20:4n-6) was increased across the glucose tolerance categories compared with the normal glucose tolerance reference. Of the estimated desaturase activities, SCD1 and D6D activities were increased across the glucose tolerance categories. Corresponding proportions in the CE and TG fractions are shown in ESM Tables 2 and 3. In CEs, the results were similar to the PL results regarding MUFAs, PUFAs and estimated desaturase activities. Total SFAs and total MUFAs were significantly increased and total PUFAs were significantly decreased across all glucose tolerance categories (ESM Table 2). Small quantity SFAs (15:0, 17:0, 22:0 and 24:0) were not measured in the CE and TG fractions. In the TG fraction, only cis-vaccenic acid (18:1n-7), linoleic acid (18:2n-6) and total PUFAs were significantly different across glucose tolerance categories when adjusted for age and BMI (ESM Table 3). Pentadecanoic acid (15:0) and margaric acid (17:0) correlated positively with DHA (22:6n-3; Spearman rank correlation: r = 0.121, p < 0.001 and r = 0.276, p < 0.001, respectively). Altogether, 831 participants had OGTT data during the follow-up. Total SFAs, palmitoleic acid (16:1n-7), SCD1 and D6D activities were the main predictors for increased glucose AUC at follow-up for all three lipid fractions (Fig. 1). Dihomo-γ-linolenic acid (20:3n-6) predicted increased glucose AUC in the PL and CE fractions, but not in the TG fraction. Total PUFAs, linoleic acid (18:2n-6) and elongase activity were the main predictors of decreased glucose AUC at follow-up for all three lipid fractions. In the PL and CE fractions, cis-vaccenic acid (18:1n-7) was also associated with decreased glucose AUC. For PLs, these results remained statistically significant even after further adjustment for fasting glucose, insulin sensitivity or insulin secretion at baseline. In the PL fraction, margaric acid (17:0) and nervonic acid (24:1n-9) were also associated with decreased glucose AUC, whereas adrenic acid (22:4n-6) was associated with increased glucose AUC at follow-up (Table 3). All associations of baseline fatty acids with glucose AUC in the CE and TG fractions are shown in ESM Tables 4 and 5. A total of 71 participants developed new type 2 diabetes during a 5.9 year follow-up. In the PL fraction, dihomo-γ-linolenic acid (20:3n-6) and estimated D6D activity increased the risk of incident type 2 diabetes after adjustment for confounding factors (Table 4). After additional adjustment for insulin sensitivity or insulin secretion, the associations remained nominally significant. The results were essentially similar for CEs, except for estimated D6D activity, which only nominally increased the risk of type 2 diabetes (ESM Table 6). There were no significant associations between fatty acids and incident type 2 diabetes in TGs (ESM Table 7). In the PL fraction, total SFAs, myristic acid (14:0), stearic acid (18:0) and long-chain n-6 fatty acids dihomo-γ-linolenic acid (20:3n-6), adrenic acid (22:4n-6) and osbond acid (22:5n-6) measured at baseline were associated with decreased insulin sensitivity at follow-up (Table 5). Instead, cis-vaccenic acid (18:1n-7), gondoic and gadoleic acids (20:1n-9 and 20:1n-11) and nervonic acid (24:1n-9) were associated with increased insulin sensitivity. Of the estimated desaturase activities, estimated D6D activity was associated with decreased insulin sensitivity, whereas estimated D5D and elongase activities were associated with increased insulin sensitivity. Furthermore, the DHA sufficiency index was associated with increased insulin sensitivity. Corresponding results in the CE and TG fractions are shown in ESM Tables 8 and 9. Of the SFAs measured in the CE fraction, only myristic acid (14:0) was associated with decreased insulin sensitivity (ESM Table 8). Of the MUFAs, palmitoleic acid (16:1n-7) was associated with decreased insulin sensitivity and cis-vaccenic acid (18:1n-7) was associated with increased insulin sensitivity. γ-Linolenic-acid (18:3n-6) and dihomo-γ-linolenic acid (20:3n-6) were associated with decreased insulin sensitivity. Association of estimated desaturase activities with insulin sensitivity were similar for all three lipid fractions, except for TGs, where estimated D6D and SCD activities were not associated with the Matsuda ISI. In the TG fraction, all SFAs were associated strongly with decreased insulin sensitivity, whereas linoleic acid (18:2n-6), arachidonic acid (20:4n-6), eicosapentaenoic acid (EPA; 20:5n-3), docosapentaenoic acid (22:5n-3) and DHA (22:6n-3) were associated with increased insulin sensitivity (ESM Table 9). In the PL fraction, total SFAs and palmitoleic acid (16:1n-7) were associated with decreased insulin secretion at follow-up, whereas cis-vaccenic acid (18:1n-7) and linoleic acid (18:2n-6) were associated with increased insulin secretion at follow-up (Table 5). Of the estimated desaturase activities, SCD1 and D6D activities were associated with decreased insulin secretion and elongase activity, with increased insulin secretion in all three lipid fractions, except for the TG fraction, where the association between SCD1 and DI30 was NS, and the association between D6D and DI30 was only nominally significant (Table 5, ESM Tables 8 and 9). In the CE fraction, myristic acid (14:0), palmitic acid (16:0), total SFAs, palmitoleic acid (16:1n-7), total MUFAs, γ-linolenic acid (18:3n-6) and dihomo-γ-linolenic acid (20:3n-6) were associated with decreased insulin secretion, whereas linoleic acid (18:2n-6) and total PUFAs were associated with increased insulin secretion (ESM Table 8). In the TG fraction, palmitic acid (16:0), total SFAs and palmitoleic acid (16:1n-7) were associated with decreased insulin secretion and linoleic acid (18:2n-6) and total PUFAs were associated with increased insulin secretion (ESM Table 9). In a 5.9 year follow-up study of a random sample of the METSIM cohort, we investigated fasting proportions of fatty acids and estimated desaturase activities as predictors for the worsening of glycaemia and incident type 2 diabetes in three different plasma lipid fractions. We demonstrated for the first time that the most significant associations of fatty acids and estimated desaturase activities with the risk of glycaemia and type 2 diabetes were consistently observed across all lipid fractions. We also demonstrated that these associations were largely independent of insulin sensitivity and insulin secretion. The strength of our study is that it is population based and has a relatively long follow-up period. Furthermore, we were able to examine glucose burden using the glucose AUC based on a 2 h OGTT as a continuous variable, in addition to incident type 2 diabetes. Moreover, the fatty acids were measured in three lipid fractions, which enabled us to compare results between different fractions and with EMFAs, as reported earlier . One limitation of the study is that the METSIM cohort includes only Finnish men; therefore, our findings may be generalised only to men in Nordic countries who have a similar diet and ethnic background to Finnish men . Another limitation is that OGTT data for the follow-up visit were available for only 831 of the 1,302 men who participated in the baseline study. A third limitation is that we do not have data on food consumption or the use of dietary supplements at baseline. Finally, desaturase enzyme activities were based on product to precursor fatty acid ratios, and were not measured directly. In this study, total SFAs, palmitoleic acid (16:1n-7), and estimated SCD1 and D6D activities were the most important predictors of increased glucose AUC for all three lipid fractions. In the PL and CE fractions, dihomo-γ-linolenic acid (20:3n-6) predicted the worsening of glycaemia; in the PL fraction only, adrenic acid (22:4n-6) predicted the worsening of glycaemia and dihomo-γ-linolenic acid (20:3n-6) predicted incident type 2 diabetes in the PL and CE fractions. Overall, the estimated D6D and SCD1 activities were strongly associated and the estimated D5D activity was inversely associated with the development of type 2 diabetes, as previously reported [14, 27]. We also showed that the most abundant SFAs were associated with an elevated risk of diabetes, in agreement with two recent studies showing associations with type 2 diabetes [17, 28]. Total SFAs were associated with impaired insulin sensitivity and insulin secretion in our study, offering a mechanistic explanation for how SFAs may impair glucose tolerance and lead to type 2 diabetes. Total PUFAs, linoleic acid (18:2n-6) levels and elongase activity were the main predictors of decreased glucose AUC for all three lipid fractions. The protective effect of linoleic acid against glycaemia has been consistently reported in previous studies . Our results are in agreement with a limited number of intervention studies suggesting that beneficial changes in glucose tolerance and insulin sensitivity were observed when saturated fats are replaced by unsaturated fats in the diet [29, 30, 31]. As far as we know, our study is the first to demonstrate that estimated elongase activity predicts a decrease in the glucose AUC and better insulin sensitivity and secretion for all three fractions, consistent with our EMFA results  and offering possible mechanisms for improving glycaemia. Margaric acid (17:0) was associated and pentadecanoic acid (15:0) was nominally associated with decreased glucose AUC. Odd chain fatty acids (15:0 and 17:0) were not associated with impaired insulin sensitivity or insulin secretion. Evidence in earlier studies also suggests an inverse association of pentadecanoic acid 15:0 and margaric acid 17:0 with the risk of type 2 diabetes [15, 28, 32]. Odd chain fatty acids are found in milk fat and fish [33, 34, 35, 36]. There was positive correlation between odd chain fatty acids with DHA (22:6n-3) in this study. In agreement with previous studies, n-3 fatty acids were not associated with the worsening of glycaemia or the risk of incident type 2 diabetes [15, 25, 37]. The DHA sufficiency index (ratio of 22:6n-3 to 22:5n-6) was associated with improved insulin sensitivity. In infants, this index was suggested to be a more important marker of the fatty acid status than the absolute amounts of fatty acids [23, 38]. In some [39, 40, 41], but not all [42, 43] observational studies, fish consumption has been associated with a lower risk of diabetes. Whether the possible beneficial effects of fish consumption are attributable to long-chain n-3 fatty acids or to other components of fish remains unclear. In the prevention of type 2 diabetes, the consumption of lean fish may be even more beneficial than the consumption of fatty fish . Instead, fish oil supplementation might have adverse effects on glucose metabolism, including increased gluconeogenesis and impaired insulin secretion and insulin sensitivity [44, 45, 46, 47]. In a recent small (n = 187) nested case–control study, plasma EPA and DHA were associated with an increased risk of diabetes . We previously reported an association of EMFAs with the worsening of glycaemia and incident diabetes in a METSIM population sample . All significant associations found between EMFAs and glycaemia were also found in the PL and CE fractions in our current study. Compared with fatty acids measured in erythrocyte membranes, the associations we found between plasma fatty acids and glycaemia were more significant, consistent with a previous study reporting associations of fatty acids measured in plasma PLs and erythrocyte membrane PLs with incident diabetes . In the present study, the results in different lipid fractions were reasonably consistent. In particular, results in the PL and CE fractions were very similar with regard to the fatty acid composition measured in both fractions. However, less significant associations were found in the TG fraction than in the PL and CE fractions. The mechanisms by which fatty acids predict hyperglycaemia and incident diabetes are not completely understood. We adjusted our data for baseline insulin sensitivity and insulin secretion, which only slightly weakened the statistical significance. In line with our previous EMFA findings , our results suggest that fatty acids (except for SFAs) may affect the risk of type 2 diabetes in a manner largely independent of insulin sensitivity and insulin secretion. Accumulation of liver fat and dyslipidemia could be other possible mechanisms to explain the associations of estimated SCD, D6D and D5D activities with type 2 diabetes risk . 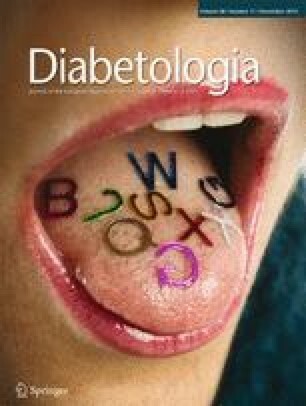 In conclusion, our study shows that total SFAs, palmitoleic acid (16:1n-7), dihomo-γ-linolenic acid (20:3n-6) and both SCD1 and D6D activities predicted the worsening of glycaemia and that estimated D6D activity and dihomo-γ-linolenic acid (20:3n-6) increased the risk of incident type 2 diabetes. The associations of fatty acids with the worsening of glycaemia and risk of incident type 2 diabetes were largely independent of insulin sensitivity and insulin secretion. Therefore, further studies are needed to investigate genetic and other mechanisms to explain how plasma fatty acids regulate glucose metabolism and affect the risk of type 2 diabetes. The study was supported by the grants from the Academy of Finland (nos 137,544 and 272,741), the Finnish Diabetes Research Foundation, the Finnish Cardiovascular Research Foundation, the Strategic Research Funding from the University of Eastern Finland, Kuopio, Finland, and EVO Grant no. 5,263 from the Kuopio University Hospital to ML and a grant from the Juho Vainio Foundation to MAL. ML, JK, JP and MU designed the study; MAL and AS were responsible for the statistical analysis; JÅ, MU and US were responsible for fatty acid measurements; MAL and ML wrote the manuscript; MAL, AS, MU, JP, JÅ, JK, US and ML reviewed and commented on the manuscript; and ML is responsible for the final content. All authors approved the final draft of the manuscript.